This is a 3D floor plan we have been working on for an extension to a private school, we did the 3D floor plan for a presentation the school was doing to the Parents & Pupils to help explain the development. The render is done using exterior QMC with no shadows turned on, I add shadows and a line overlay afterwards in Photoshop. 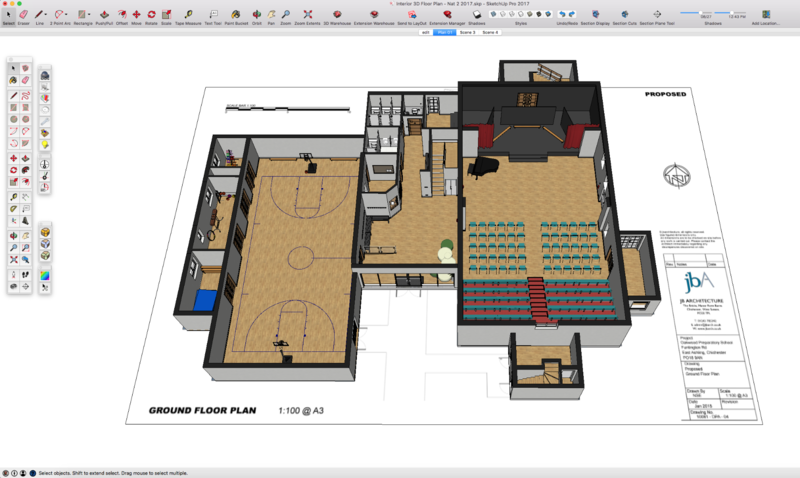 The drawing sheet is not added in PP it is in the SketchUp model. Nat, I don't think adding shadows in Photoshop works. The angle of the light and shadows are not consistent and it has a kind of flat cartoony feel to it. I'm not sure I understand why you did this, but for me it looks like the solution is worse than the problem. I think the use of image ground planes works really well, however in your first image it looks like the scale bar and some of the text have a drop shadow applied. Jim, you know I like to keep you happy! Here is the same image with out the added shadows. The image is for a presentation board so I was trying something different. The drawing sheet is a transparent png in SketchUp with a base underneath so that's why there seems to be drop shadow on the scale bar and text. Aha - I understand why there are 'drop shadows' now! Have you tried using a jpg ground plane instead of a transparent png? I've done this a few times and think it looks really good! Thanks Jim. 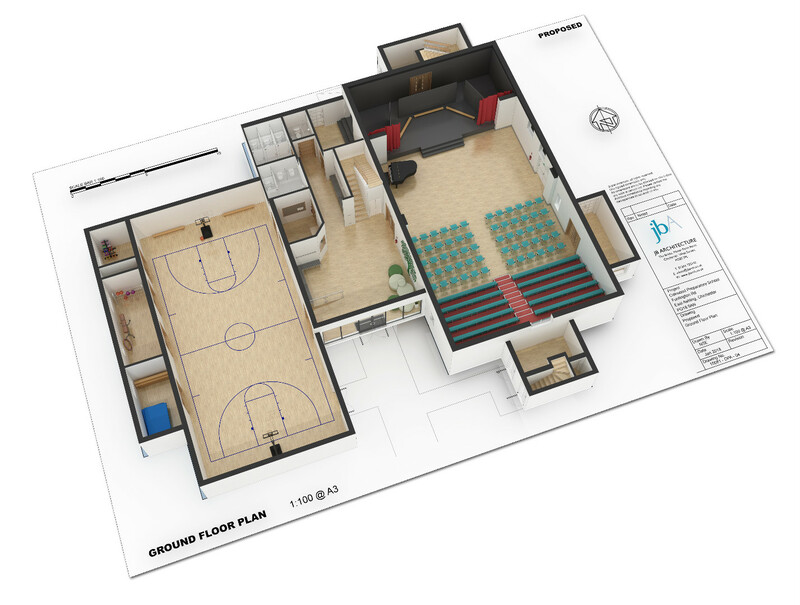 The client was very happy with the images as all the parents can understand a 3D floor plan much more than 2D plans so it did its job well. Plus its nice to do more than just my trademark kitchen renders. On a side note I am heading over to your neck of the woods next week as we are the Architects for the new Marina development at Burry Port, all the initial designs were done with Podium which got a lot of local press early this year. Also Welsh Planning and Building regulations. More differences with England than you might expect. Drop me a line if you want some pointers!